The West Loch Fairways Association (WLFA) is holding its 2019 Annual Meeting on Tuesday, February 19, 2019 in the Ewa Elementary School Cafeteria 91-1280 Renton Road, Ewa Beach, Hawaii. Check in is at 6:00pm. The meeting starts at 7:00pm. The purpose of the meeting is to elect Directors of the Board, to receive Reports of Officers, and transact other business as may properly come before the meeting. The WLFA By-Laws require that the Association hold an annual meeting of the Owners within three months of the closing of the fiscal year. In order for the meeting of the Owners to take place, it is required that a quorum of the presence in person or by proxy, of 50 % of the Owners be achieved in order to conduct any business. If a quorum is not achieved, than a new meeting will be scheduled. This can cost the Association thousands of dollars. PLEASE SEND IN YOUR PROXY ASAP. Even if you plan on attending the meeting. This will ensure the requirements for a quorum are met in the event that you are unable to make the meeting. 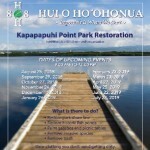 The 2018-2019 Kapapapuhi Park Restoration Work Schedule. On August 9, 2018 John Rogers presented a resolution to the Ewa Neighborhood Board Number 23 requesting that the City and County of Honolulu prioritize the repair of the West Loch Shoreline Park Pathway and Honouliuli Bridge. The Ewa Neighborhood Board adopted the resolution. The plan as late as this summer was that the Leeward Bikeway Phase 1 was to start construction early 2019. 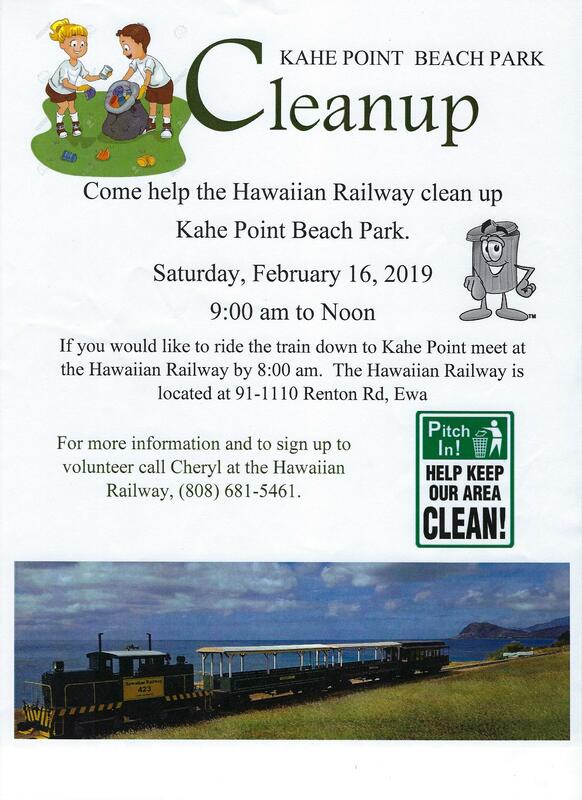 I have been informed that negotiations between the State of Hawaii Department of Transportation (HDOT) and the State Historic Preservation Division (SHPD) and the Hawaiian Railway Society (HRS) have broken down. In order for the HDOT to complete the Environmental Assessment an agreement has to be completed with SHPD and HRS to comply with the National Historic Preservation Act (NHPA) Section 106. It seems that the HDOT does not want to accommodate what some would consider reasonable demands by the SHPD and HRS to ensure that the historical value will be enhanced with the building of the Leeward Bikeway. Please contact your State of Hawaii Representatives: Senator Mike Gabbart, Representative Cullen TY and Representative Robert McDermott to let them know that you want the Leeward Bikeway Built ASAP. 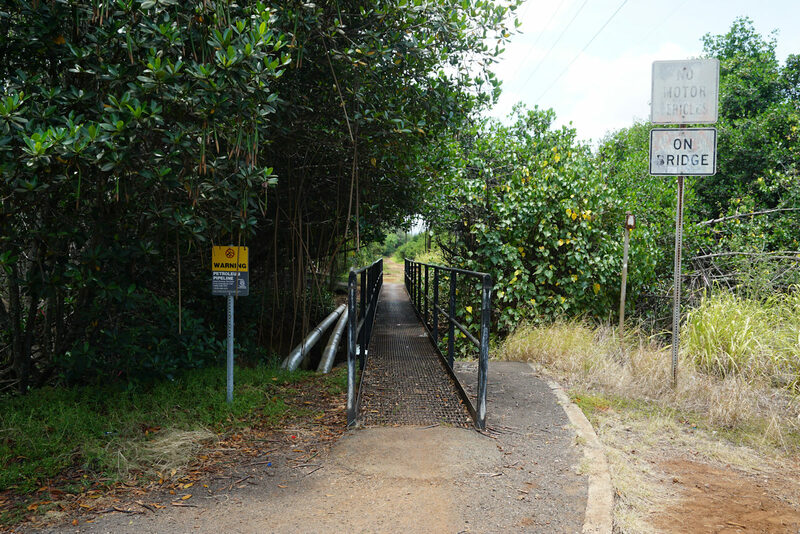 As many of know, the West Loch Bike Path is in much need of being repaved and the bridge over Honouliuli Stream is in immediate need of replacement or repair. John Rogers is going to present to the Ewa Neighborhood Board on the condition of the bike path and surrounding park and request they adopt a resolution requesting that the City prioritize the path’s repair. When the DOT finishes the Leeward Bikeway Phase I (set to breakground in 2019), this connected with the West Loch path and Pearl Harbor Bike Path will create a continuous bike path from Ewa to Aloha Stadium. Your support at the meeting would help make sure this resolution is adopted and help push the City to repair the path. John put together this Google folder with the proposed resolution and pictures of the trail condition for everyone to look. To read previous posts on this subject. 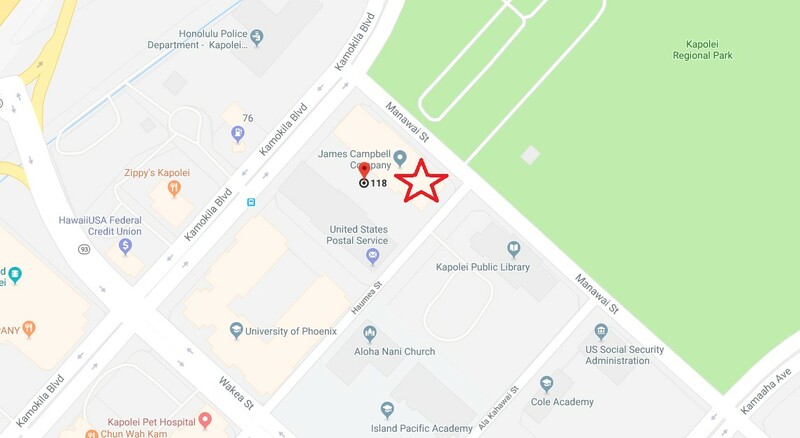 Come one come all to the Board of Directors meeting at Assoca Hawaii West Oahu Office, 1001 Kamokila Blvd Suite #161, Kapolei, Hi 96707 on March 18 , 2019 at 6:30pm. 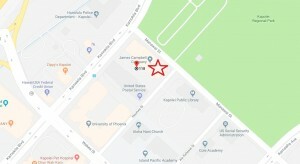 The Board decided to change the venue in which they hold BOD because the space is free of charge and it can be reserved in advance for an entire year.